Hidden Hollow Camp is for children ages 8-15 and provides every camper with a well-rounded overnight camp experience. Campers plan their own day with a wide varieties of activities offered, including: swimming, horse trail rides, arts and crafts, tennis and court games, nature activity, archery, woodshop, dramatics, canoeing and fishing, and sports and field games. Evening activities include campfires, cabin skits, night swims, and the Hidden Hollow Hop on Friday night. HHC also runs a Jr. Camp Program for children ages 6-8 who want to experience camp without having to spend a week away from home. 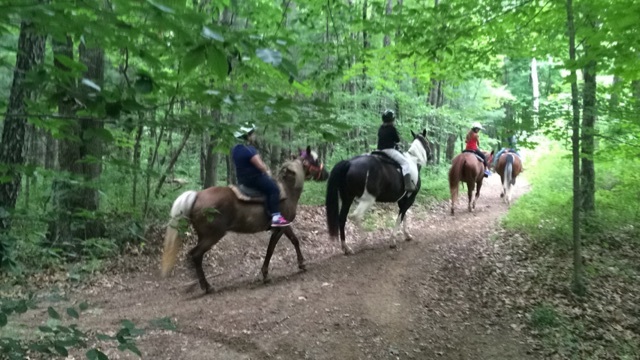 Activities are tailored to fit smaller campers who come for three days and two nights. For more information on Hidden Hollow Camp, please click here to be directed to our website.